A trucker’s rest station and parking lot outside the Moscow Ring Road. "I think I will set my car on fire soon. The tax will take us all down. I get 112 rubles a month in social payments for my kid — how am I supposed to raise him on that?" says Rasul, a truck driver from Russia's North Caucasus republic of Dagestan. His battered truck is buried under snow in a parking lot outside Moscow. He is outraged by the new truck tax system and is considering joining the protest movement, despite possible backlash from the authorities. "You know why our young men join the terrorists? Islamic State [a terrorist organization banned in Russia]? It's because of despair, they have no jobs and no perspective," another Dagestani trucker explains. "And [the authorities] want to make our life even worse." Billionaire Arkady Rotenberg — President Vladimir Putin's long-time judo sparring partner and close ally — and his son Igor are currently the most reviled authority figures in trucking circles. Igor Rotenberg owns 50 percent of Platon, the company responsible for collecting the newly introduced levy for driving trucks weighing more than 12 tons on federal highways — according to Russia's legal entities registry EGRUL. Anatoly Chubais, the architect of privatization in the early 90s, had previously borne the title of "national allergen" for decades, but the palm must now be passed to the Rotenbergs. Platon, the collection system, launched on Nov. 15, with truckers having to pay a levy for every kilometer they travel. Every heavy-vehicle owner has to register with the system and file his itinerary in advance online, or equip the truck with a mobile tracker. Implementation of the system kicked off the largest social protest wave in years. The protests began in mid-November and were particularly active in southern Russia and the Siberian and Volga Districts. The large presence of individual entrepreneurs in these regions meant that the levy greatly impacted their business structure, regional programs director at the Independent Institute for Social Policy Natalia Zubarevich told The Moscow Times. Authorities have attempted to tamp down protest fervor — interfering with the protest movement. Police officers have approached truckers, insisting they sign paperwork promising not to participate in any protest activities, Rasul said. He and his friends may have withstood the pressure, but hundreds of drivers across Russia have yielded when confronted by the police. 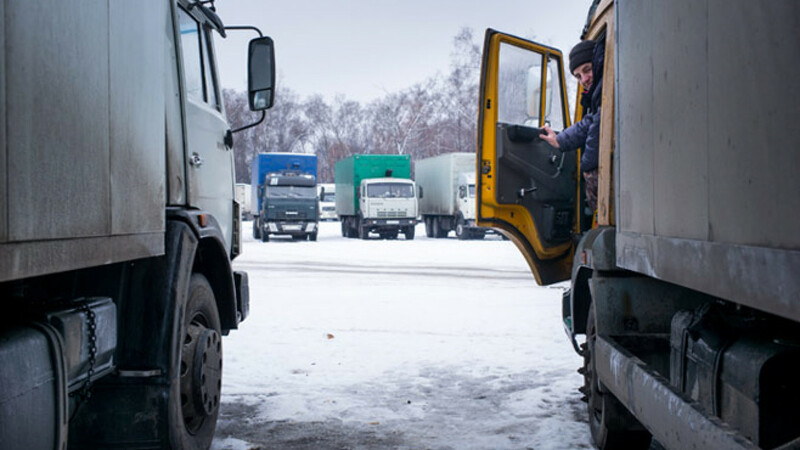 When truckers headed en masse to Moscow, police repeatedly halted their progress — checking drivers' documents and detaining them for unpaid fines or any available pretext, trucker coordinator Kirill Poroshin said. Protesters believe the authorities have made conciliatory gestures in an attempt to stop the protest dead. Russia's Transport Minister Maxim Sokolov met with truck driver representatives on Nov. 28 in St. Petersburg, but truck drivers consider the meeting an empty gesture, protest coordinator Alexander Rastorguyev said. 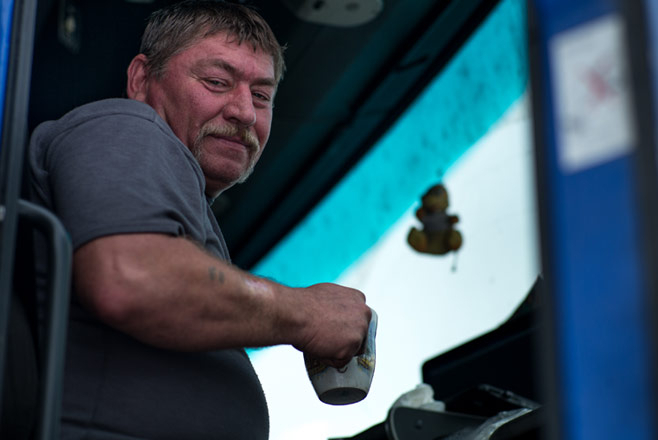 A Russian truck driver enjoys a cup of tea at a rest station on the Moscow Ring Road. "We wanted to hear that Platon would be canceled — he did not say that," Rastorguyev said. When, on Nov. 30, the protest coordinator announced a protest march of truckers from St. Petersburg to Moscow, he was detained by police and fined 1,000 rubles ($15) the following day. Police are focused on keeping the protesting truckers away from the capital and have been successful thus far — the planned demonstration in Moscow was canceled. But the protest lives on. "At the moment it's a network without a center. 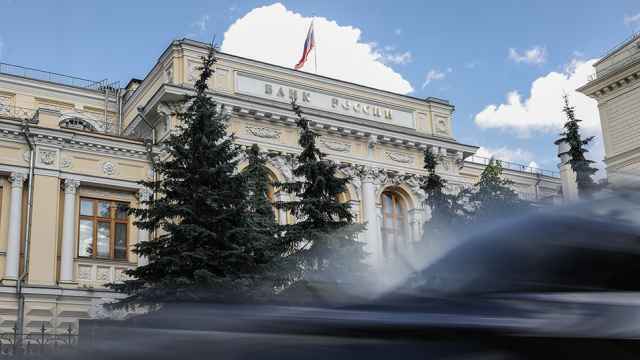 Thus it is hard for the government to maintain because they don't have a center to strike," says ex-deputy Labor Minister Pavel Kudyukin, a Russian Labor Confederation council member. Platon looks to be more trouble than its worth. "600 billion rubles ($9 million) is spent on the roads every year and Platon's estimated revenue is 40 million rubles ($600,000) with 10 million going to RTITS, Rotenberg's company. It's not economically viable, it's a dumb political decision," Zubarevich says. But scrapping the levy is not an option for the government. "The budget money has been spent to design the system and it is supposed to be returned," Kudyukin said. 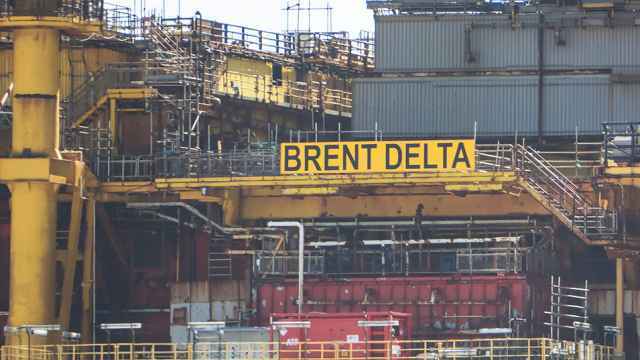 Furthermore, as the price of oil collapsed and the Russian economy shrank, the government began penny-pinching. Economic experts are monitoring the introduction of indirect taxes such as not indexing pensions for inflation and introducing obligatory housing renovations, director of the Social Policy Institute Sergei Smirnov said. While the state is resolute when dealing with political protest of the liberal middle class, social outrage with an economic grounding usually evokes a much softer reaction — authorities are usually eager to avoid confrontation. Following the initial backlash to Platon, the government proposed a reduction in tariffs and fines. The concessions have not appeased the truckers who demand the system's removal. Although total abolition is unlikely, the truckers are confident they can win further victories. "We are not like those white-ribboned dreamers in 2011. We have crowbars, and we won't hesitate to use them when we are pushed to the wall," proclaimed a middle-aged trucker from the North Caucasus region while sipping tea at a roadside cafe outside the Moscow Ring Road. No matter how the truck driver protests conclude, their effectiveness demonstrates that organized citizens are capable of effectively challenging unpopular government initiatives, Smirnov said, there will be more to come in the near future.